Pay-what-you want programs like the Humble are some of the most awesome bargains you can find on the internet today. Not only does it give you access to all sorts of cool apps and games at prices you feel comfortable paying, you also get to earn yourself some good karma by buying as some of the proceeds, or all depending on your choice, go to a good cause (the Electronic frontier Foundation and Child’s Play Charity in this case). According to their website, if bought individually, the games would cost you up to $119. And with the average purchase price at less than $6 as of this writing (which you need to meet in order to unlock Machinarium), that’s a lot of savings for you right there. Want the games but don’t have an Android device? Not a problem! The games are also desktop ready and can be played on Windows, Linux and Apple computers as well. So if you’re looking for some awesome new games to pass the time with, you just can’t go wrong with the Humble Bundle. 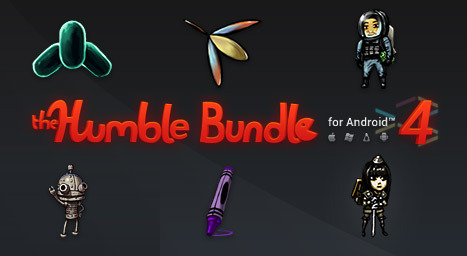 Will you be getting the Humble Bundle for Android? Which game are you most excited about? Discuss in the comments below!